Pet friendly room for small pets. 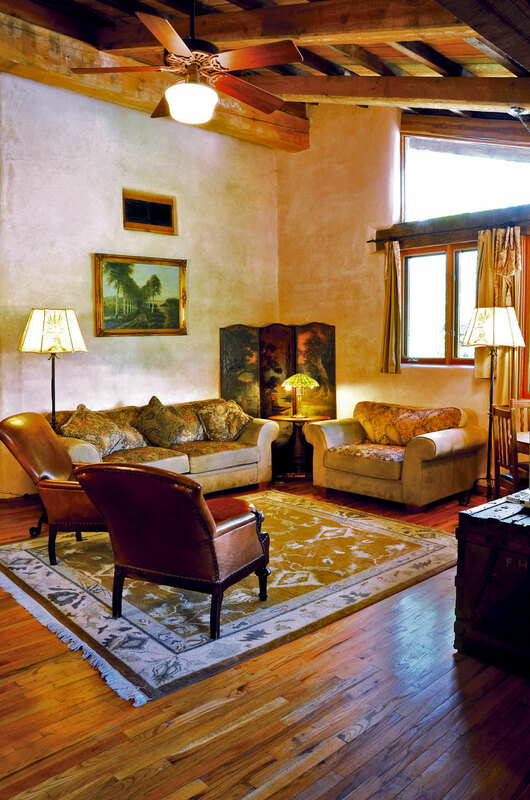 The largest deluxe suite at El Portal Sedona Hotel, this secluded second story living space is ideal for longer stays, a bridal and honeymoon suite, or for families. The separate living room features a cozy beehive corner fireplace and a series of lovely corner gabled windows overlooking the nearby treetops. A queen-sized sleeper sofa can accommodate extra guests. 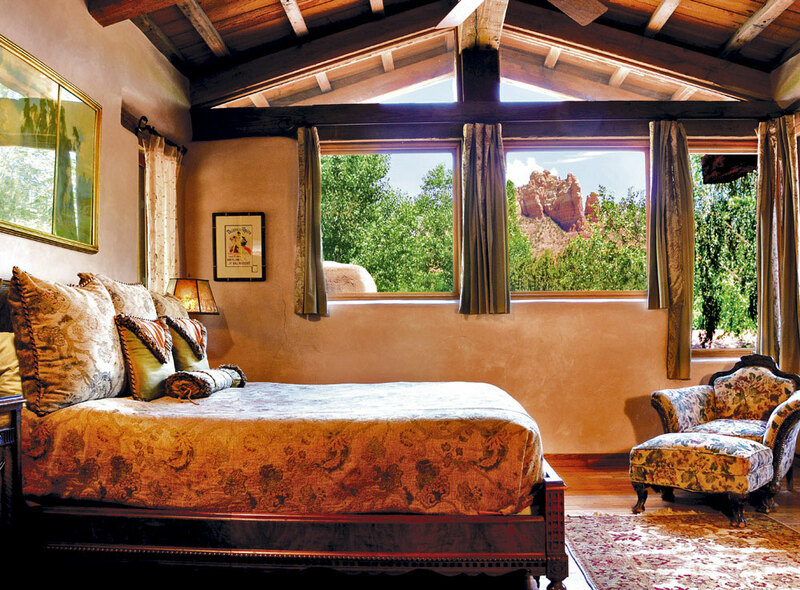 Custom made pocket doors open into a light-filled master bedroom with a king-sized bed enveloped in spectacular panoramic Red Rock views. 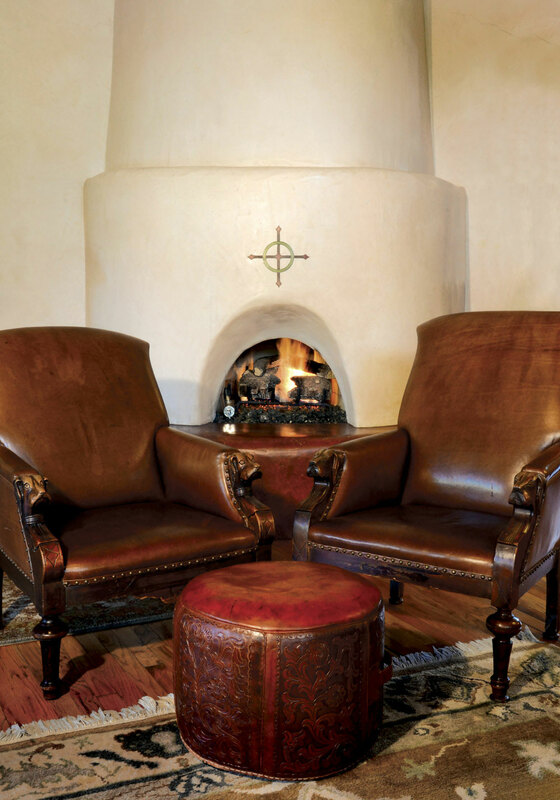 Wood beamed vaulted ceilings and rich oak floors run throughout, and the suite of rooms is decorated in authentic turn-of-the-century Berkey & Gay furniture. 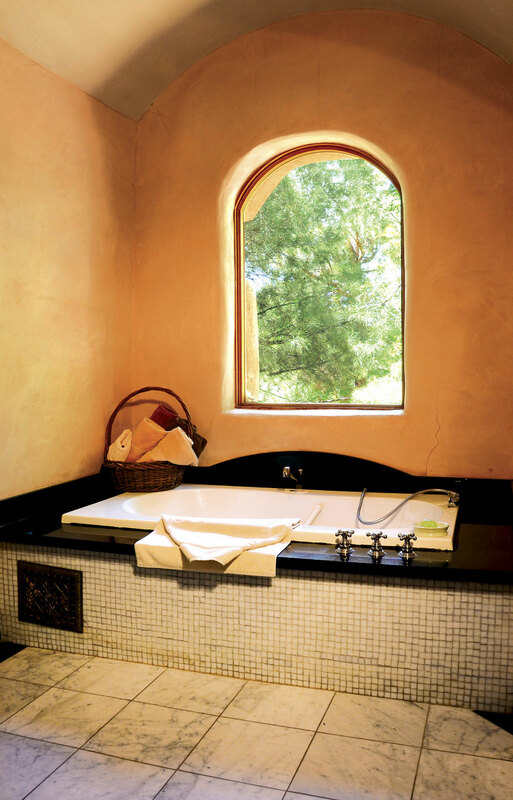 The bath includes a beautiful, walk-in shower, stained glass accents and hot air whirlpool tub. Pet friendly Sedona accommodations for small pets.